The Skylanders video games set off a merchandizing bonanza thanks to its toys that were outfitted with near field communication. 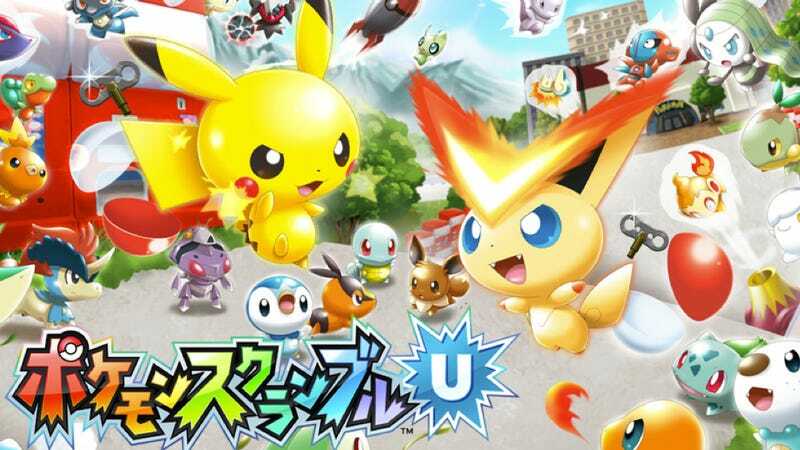 The upcoming Pocket Monsters game for the Wii U looks set to do the same thing. According to a leaked CoroCoro Comic magazine scan, the upcoming Pokémon Scramble U for Wii U will use NFC Pocket Monsters figurines. This is the first Wii U game to make use of the Wii U GamePad's NFC reader. Starting April 24, the figures go on sale at Pokémon Center retailers across Japan. While the downloadable game is priced at ¥1,800 (US$18.70), the figures are ¥200 ($2.08) each. There are six different types, plus what sounds like one special type. That brings the total cost of all the figurines to ¥1,400 ($14.55). Besides Pikachu, it's unclear which Pokémon will get NFC figurines. You will be able to scan them into the Wii GamePad and use them in game. Players can "raise", rear their NFC Pocket Monster, saving the Pokémon's progress. Pokémon Scramble U goes on sale April 24 in Japan as a digital download.